KAJO: Thank you. It feels great to be recognized. Good to have additional gallons of inspiration to do more work like TRESE (or in our case, more ‘play’). BUDJETTE: Of course, it feels great to finally win! How I wish we could’ve been there to accept the award. Last year, me, Kajo, and Nida (our publisher) were all dressed up at the awards and my jaw just dropped when they announced that there was no winner in the category. You’d think that if you’re the only finalist in the category, then your chances for winning are pretty high. But, as it turned out, TRESE: UNREPORTED MURDERS didn’t get the unanimous vote of the judges and that’s why it didn’t win. So, when I found out that we were up against “El Indio” this year, I didn’t want to get my hopes too high. I was happy we got in finalist status again and I just hoped for the best. I still remember the early days when Trese came out as individual photocopied issues, each resolving a single case. Do you still remember your initial print runs for the early issues? How many times did you have to reprint/go back to press before the first collection came out from Visprint? 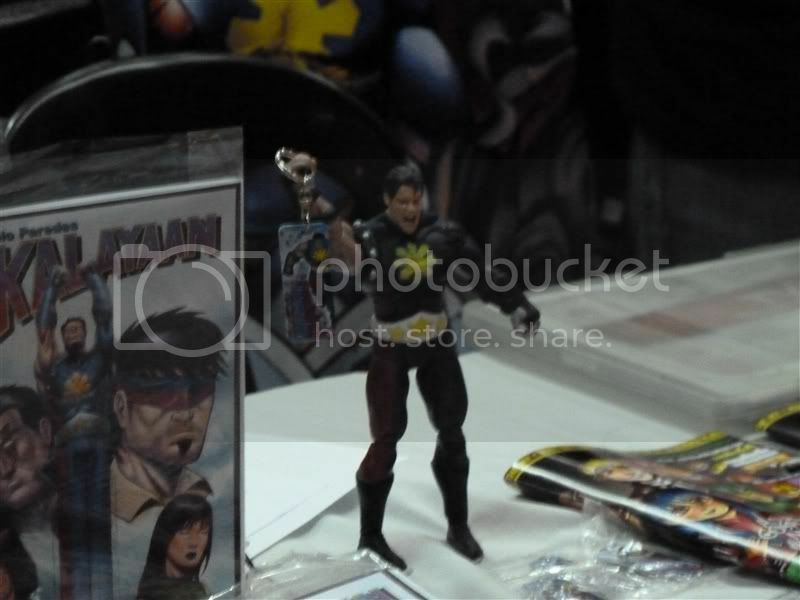 BUDJETTE: When we were just photocopying TRESE in 2005, the only place you could get [the komik] was at Comic Quest. So, we probably just made 30 copies and made more whenever we’d get sold out. And we’d get a call from Comic Quest every couple of weeks that people were looking for Trese. 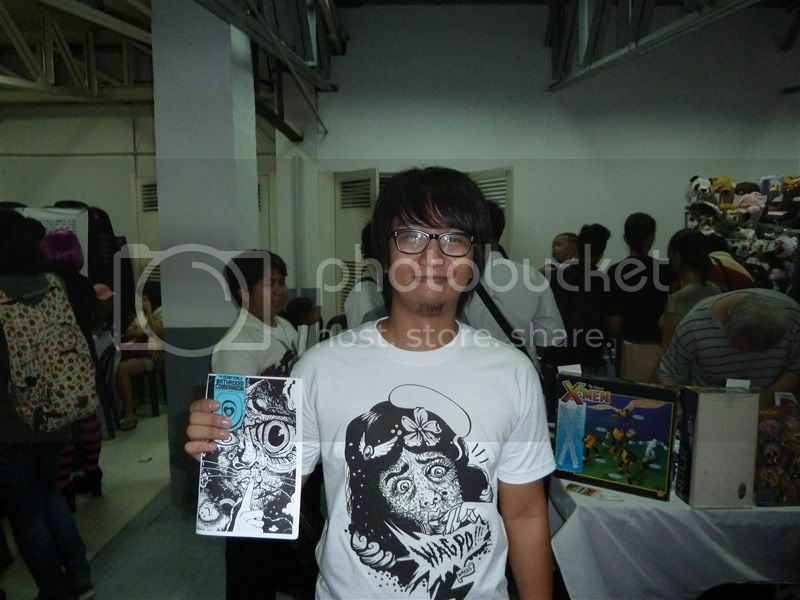 During the Komikon of 2005, I only had 50 copies made, thinking we wouldn’t sell a lot. We were sold out before 3pm. I was so happy that we sold 50 copies! KAJO: During our ‘photocopied Trese’ days, Budj was technically the publisher, so he’s the one who kept track of the copies being made and copies being sold. I rarely cared how many people were buying [the komiks] because for me, the only loyal customers we needed to maintain were Budj and Kaj. It appeared that many people were like Budj and Kaj, ‘specially when Visprint appeared and gave us a giant hand regarding distribution. Do you remember when it was that you first realized that you had a hit on your hands? That this was going to go beyond the convention circuit? BUDJETTE: I’m not sure of the exact tipping point of Trese. I was getting an inkling of it when I would spot the occasional review online. (Yes, yes, I Google “Trese” once in awhile.) It amazed me that people took the time to write reviews that read like someone’s thesis report. These were very detailed and passionate reviews about the stories. It was also great to get feedback from guys like Gerry Alanguilan and Marco Dimaano about the book early on. 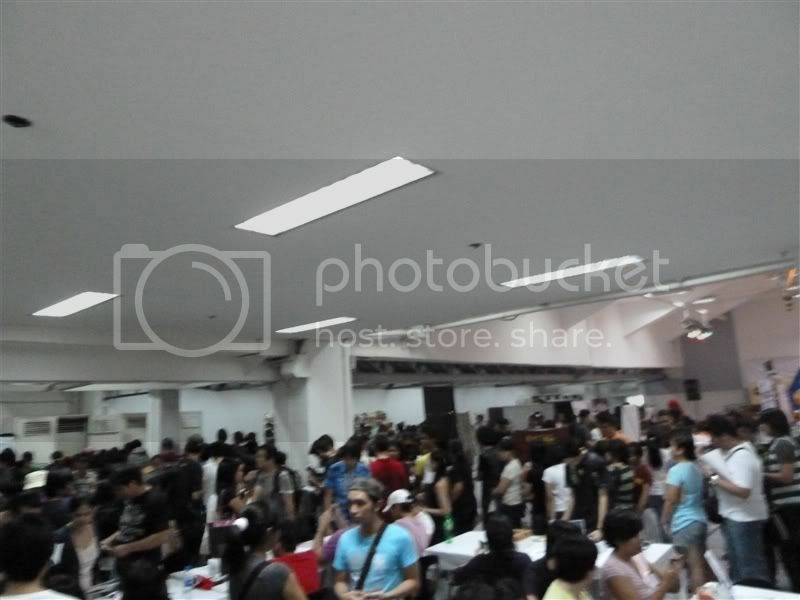 And then, when we released TRESE: MURDER ON BALETE DRIVE, me and Kajo were invited guests at the Mangaholix Con in SMX, where we sold 100+ copies. By that time, we knew that people really liked our stories. KAJO: Honestly, I knew we had a hit when I first read Budj’s script ‘At the Intersection of Balete and 13th Street’. I knew that this would be a story that Budj and I were going to love reading, so making it was pretty easy. [Budj and Kaj] are easy customers, you see. It’s a little different now, but I still try and please those two and hope that many others are just as willing to ride along. You two have always seemed to value Trese fandom, featuring fan created artwork in your collections and online. What role has fandom, in particular online fandom, played in the success of Trese? Has any feedback changed how the story was told, or presented? KAJO: The fandom is very important to the success of Trese. They are the big, smiling reflections in our mirrors that tell us ‘you’re looking good, keep it up’ or ‘you look like crap, don’t go out’. The feedback they share with us is as valuable as a steering wheel in a car, IMHO. Like I mentioned in the afterword of Book 3, the original “secret origin” of the Kambal was just supposed to be mentioned in passing in the very first Trese story. I just wanted to get that out of the way and focus on the mysteries that Trese had to solve. But Kajo deleted those captions and told me that he’d like to do a whole story that just focused on how Trese met the Kambal. I said okay and thought that it was going to be a simple 20-page story where Trese rescues the Kambal and I was going to write that sometime in the future. More people asked about the Kambal’s origin after Book 2 came out. So, I thought, I might as well tell it in Book3. I was trying to tell it in the usual 20-page structure, but the story just wouldn’t cooperate and it became the 100-page book that was MASS MURDERS. Safe to say, I liked this one very much. And it always feels great to have a new komik to recommend with little reservation. While I take it Leal is based abroad at the moment, I hope to see more from these creators soon. Oh, and yes, it has a central speculative element (it’s not obvious from the cover). EDIT: Budjette Tan kindly pointed out to me links to a few sample pages of Askals here and here. Thomasian Writers Guild! Aklat Kurimaw! Ink Elephant! Tilde Acuna! Gelo Suarez! Macoy! Papermonster! Cavite Young Writers Association! Mark Angeles! Quarterly Bathroom Companion Comics Compendium! the Youth & Beauty Brigade! Mike David! UP UGAT! UP Writers Club! Heights! High Chair! And maybe some other peeps who might decide to drop in unannounced! Oh, and the first one hundred bottles of beer (in total, not for each person obviously) are free. What else do you need to know? Directions? Click here for a larger map of the route from Cubao, and here for the route from Katipunan. Poster image was created by Macoy Tang. 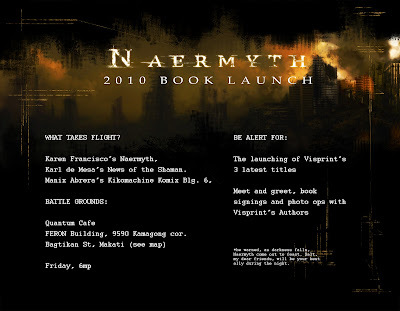 This coming Friday, November 19, Visprint will be having a book signing/ launch for three of its newest titles: Karen Francisco’s Naermyth, Karl de Mesa’s News of the Shaman, and Manix Abrera’s Kikomachine Komix Blg 6. Also in attendance will be Kajo Baldisimo-Moring, Siege Malvar, Eros Atalia and Alan Navarra. Mervin Malonzo, of Tabi Po and the Quarterly Bathroom Companion, wearing one of the limited edition t-shirts sporting his art/designs. 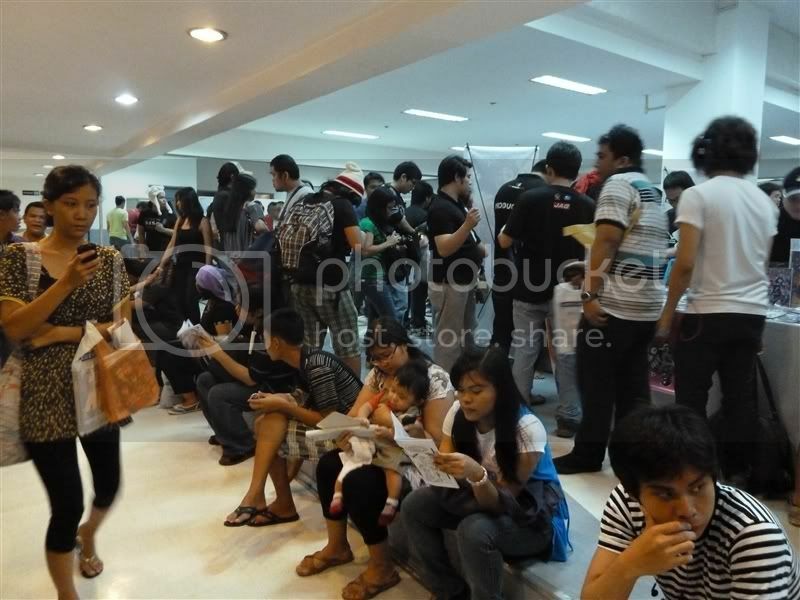 This line of people from the airconditioning units to the left all the way past the right edge of the photograph is but a small sampling of Manix Abrera’s (Kikomachine Komix) loyal fanbase. A panel with some of the Sulyap contributors. It’s always easy to spot Gio Paredes‘ (Kalayaan) table. Quite a few people were too excited to wait until they got home before reading their purchases. Project Raincloud–consisting of a movie, a graphic novel, and a website–is one of the most ambitious Filipino creative projects I’ve seen in recent years, and the film, “Dagim”, has just been released as part of this year’s Cinema One Originals for screening at the Shangri-La Cineplex 4. (You can check the schedule here.) Speculative fiction author and komiks creator extraordinaire Andrew Drilon has been a part of the projection almost since its inception, and will be the pen behind the graphic novel component, called “Black Clouds”. He took a moment out of his busy schedule to answer a few of my questions. Can you tell us a bit about Project Raincloud, and the extent of your involvement in it? Project Raincloud is a tri-media project comprised of a film, a graphic novel and a website, all working toward a single concept. It involves a lot of local folklore and re-examining it from a modern perspective, exploring what it might say about us. When I first got involved in this project, I basically sat down with the writer/director of Dagim, Joaquin Valdez; the curator of the website, Misha Lecaros; and Mark Dantes, one of our project coordinators, to hash out the concept, the framing story, the characters and the themes we wanted to explore. Part of this involved outlining a whole world–almost an alternate universe–that might exist between the cracks of the one we know. The project has been an amazing multimedia exercise. My involvement in Dagim only goes so far as the story level—I mean, I attended the shoots and helped out with the legwork a bit, but the film is really the work of Joaquin and the wonderful cast and crew he’s assembled. They’ve taken full advantage of the medium, playing to the strengths of cinema and breathing life into the world. On my end, I’m doing the graphic novel and trying to push the limits of what comics can do. Our stories parallel, but the different mediums enable different approaches, so Dagim is taking a very beautiful, haunting, hi-res perspective of the story, while Black Clouds explores it from multiple angles and a sprawling overhead view. They each stand alone, but play off of each other in interesting, complimentary ways. Meanwhile, Misha Lecaros is curating the website, Project Raincloud, which sits in the middle of the film and the graphic novel, tabulating the whole creative experiment and offering its own robust behind-the-scenes perspective. There’s this fantastic meta-narrative condensing above it all once you’ve digested each side. Everything’s rolling out in phases, and synchronizes in the end, so I think it’ll be a worthwhile experience. Dagim, the movie which is the first “leg” of your project tripod. Can you tell us a bit more about it, and why it may appeal to genre fans? Dagim is a quintessential Filipino horror film, tackling a genre specific to our country—“the aswang movie”. There are loads of predecessors to this kind of film, from Peque Gallaga’s ouvre of movies (“Sa Piling ng Aswang”, “Hiwaga sa Balete Drive”, “Tiyanak”) all the way to “Shake, Rattle and Roll”. What’s interesting about Dagim is how it turns the genre on its end, looking at it sideways and dealing with the horror obliquely. There’s a lot of implication in the movie, a lot of narrative going on in the shadows and spaces, which I’m certain will be clear to sharp viewers. And it’s a beautiful-looking film. I haven’t seen a local movie that’s pushed its visual aesthetic this far. The colors are mesmerizing. The ground level of the story is about two boys who’ve lost their father. They decide to journey up a mountain and end up meeting a very unusual tribe of people. And as these things go, they discover scary things that happen in the dark… blood spilled, conversions, existential hunger, death and dreams. It’s like an elevator experience, in a way; as the altitude changes, perception shifts. A lot of elements layer upward as the film progresses. I’ll stop myself before I get into spoiler territory, but I think genre fans may want to see this, if only to experience the familiar in a strange new light. 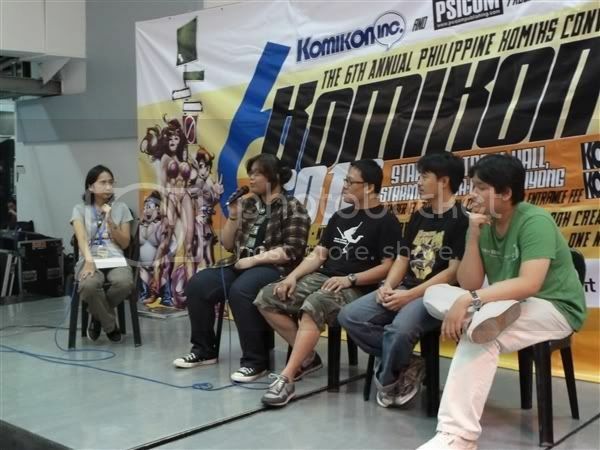 In case any of you needed reminding, the 6th annual Philippine komiks convention, or KOMIKON, will be taking place this Saturday, November 13, from 10 in the morning to 7 in the evening. Keep in mind that this year’s event is a one day only affair, and will be held at Starmall Trade Hall, 2nd Level, Starmall EDSA (not at SM Megamall as in previous years, or at UP–that’s the Summer Komikon). The Komikon website has directions to Starmall (note that you can get to Starmall from Shangrila EDSA by passing through the MRT station), as well as the day’s schedule of events, and a floorplan. Of course, the main attraction of komikon are the komiks that will be available at the event, many of which are only sold during conventions. Macoy Tang and Gerry Alanguilan both have posts which list new komiks that will be sold at the convention, and you cal also view previews of some of the komiks (old and new) at Flipgeeks.